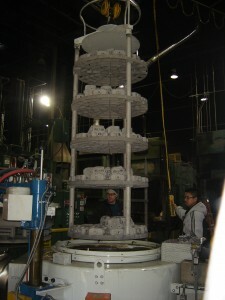 We offer substantial capacity in both Round Rock and Ft. Worth. Multiple “IQ” lines consist of automated material handling, hardening furnaces with integral quench, parts washers, and temper furnaces. Generated endothermic gas is used. Furnace loads up to 7,000 lbs. Our quench options include oil, hot oil, and salt. 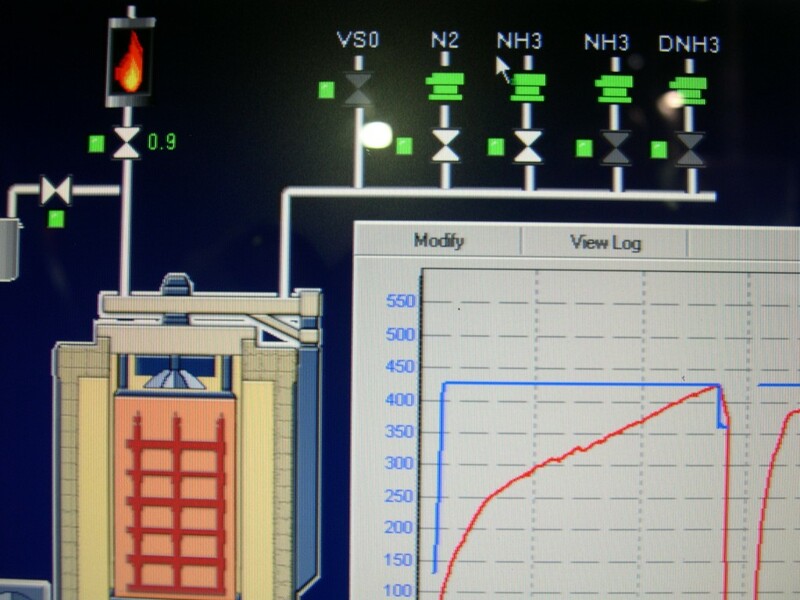 The furnaces are maintained in accordance with AMS 2750. We are able to vertical fixture parts up to 14 feet long. A variety of fixturing is available to handle complex / thin parts. Substantial straightening capabilities are available when necessary. 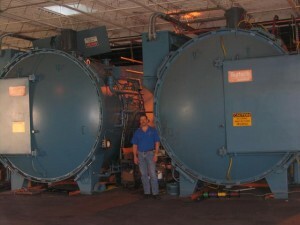 This department includes water and polymer quench tanks, as well as tempering furnaces. 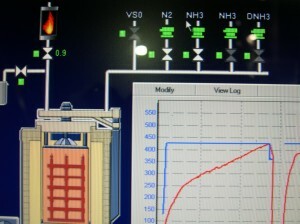 The furnaces are maintained in accordance with AMS 2750. We have three large, front-load vacuum furnaces. These are typically used to process tool steels, stainless steels, or when a parts dimensional requirements prohibit liquid quenching. 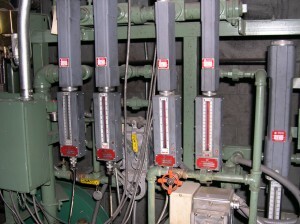 The furnaces are maintained in accordance with AMS 2750. In 2009 we reinvested in this department to increase capacity and include the latest technology in Nitride controls. We now provide Nitreg® Gas Nitriding for parts up to 60 inches diameter and 12 feet long. Our load capacity is 22,000 pounds. The equipment /controls meet the requirements of AMS 2759/10A. 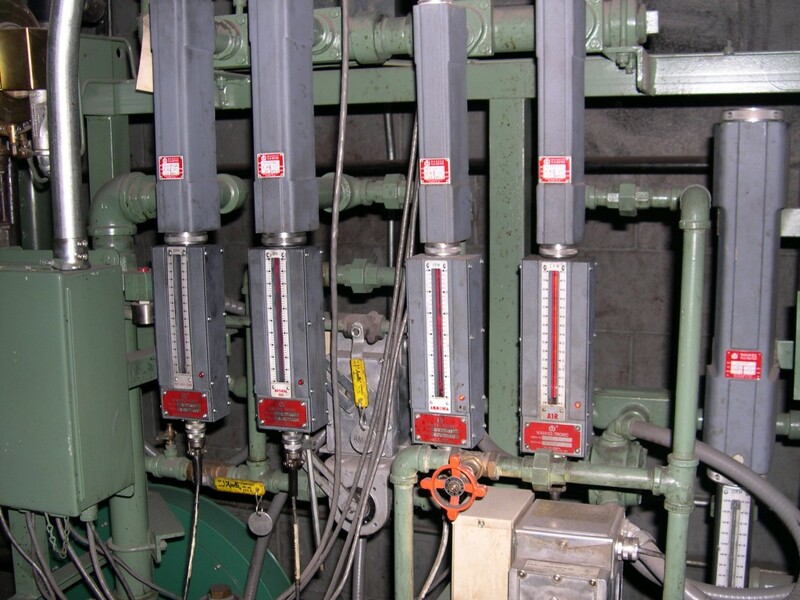 Nitreg® is an ideal process choice when distortion is of primary concern. Because process temperatures are relatively low, virtually no part distortion takes place. 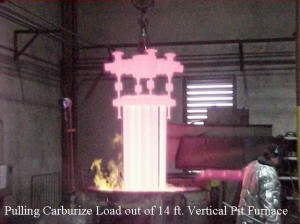 Like Nitreg® Nitriding, Ferritic Nitrocarburize is also a low temperature(ie ferritic) process. We can process parts up to 12 feet long. The equipment / controls are compliant with AMS2759/10A. We have the capability to scan harden parts up to 84 inches long. Custom tooling is often required, and this can be developed in-house.